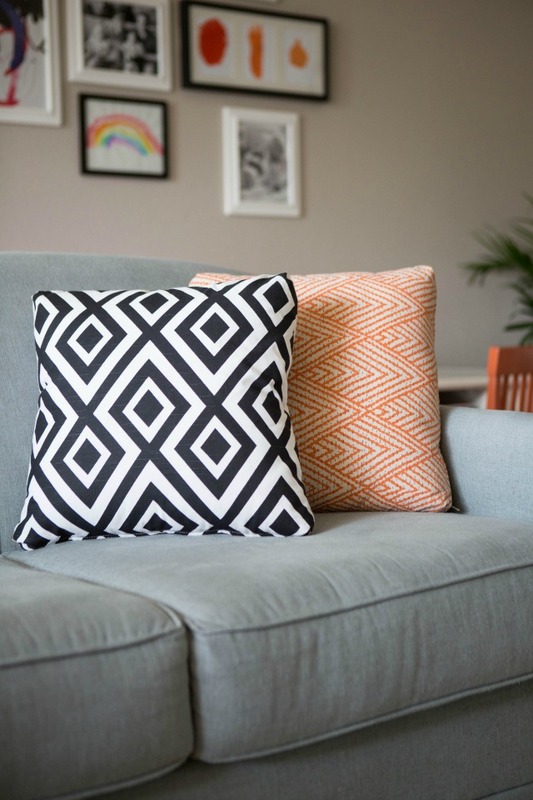 This week I am over at Hayneedle.com sharing how I recently transformed our living room into a more functional, fun space for our family thanks to a few kid-friendly furnishings! 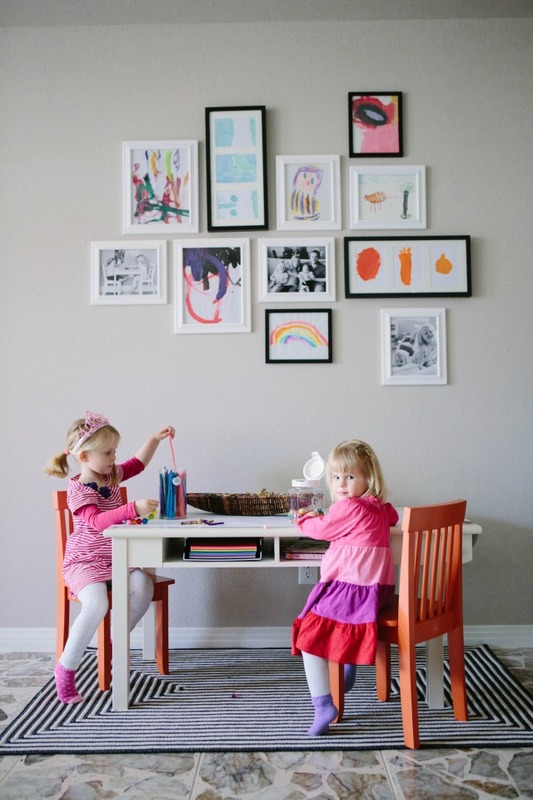 Our living room is the center of activity in our house and often serves as a second playroom for the girls. While I liked our initial living room design, I struggled to know what to do with all the toys at the end of the day to reclaim any sort of adult space. I partnered with Hayneedle to transform a previously sparse corner of the room into a special space just for Stella and Hazel with the addition of a new play table and toy storage unit. 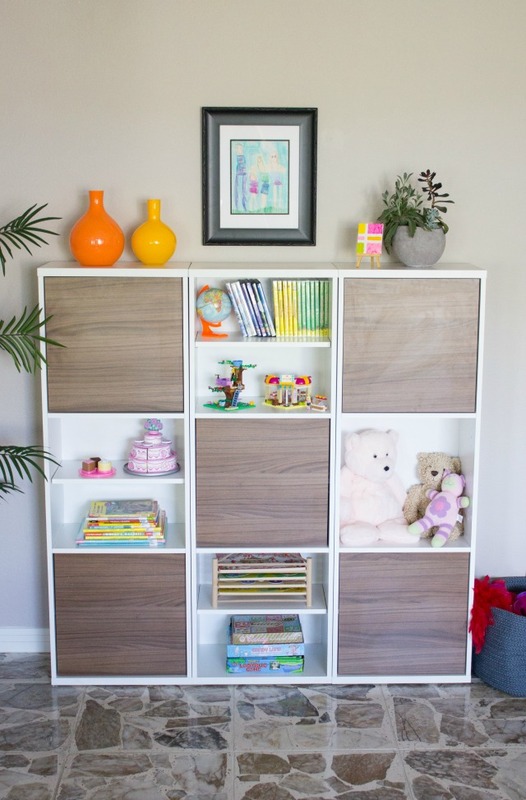 I love the modern look of this storage unit and the mix of cabinets that lets me shut some of toys away! It manages to hold a ton of toys while still being an attractive piece of furniture. It has been great to have a room that the girls can play in freely and Ross and I can still enjoy. Hop on over to the Hayneedle blog to see lots more photos of our space and my tips for a carving out your own stylish and functional kids’ area in your living room! You can find all the furniture pieces I used along with other great kid-friendly suggestions on my Hayneedle Styleboard. This post was sponsored by Hayneedle. All content and opinions are my own. Photos by Candice Stringham.